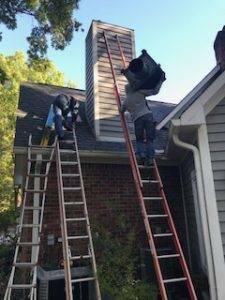 Indiana Residential mold removal specialists inspect chimney cap, replace and repair. Do you have a fireplace? Then you have a chimney cap. Chimney caps can leak and allow water inside your home. Water opens the door for mold growth. 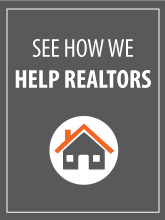 Mold growth can lead to extensive mold removal and home repair expenses. So, what condition is yours in? Well, you probably don’t know until a Home Inspector reveals on your Inspection report that there is biological growth (aka MOLD) around the chimney chase, flue, etc. This is one of the most common water intrusion repairs that our Indianapolis mold removal team addresses for homeowners when they are selling their home. Unfortunately, over time chimney caps can become rusted, pitted out and will deteriorate, which allows water into your attic. That water accumulates and mold begins to grow when the conditions are right. Attic mold spreads and can become a major issue and big expense to remediate the mold. Avoid treating your entire attic for mold growth and mold removal by knowing how to look for warning signs and catch the leaks early. 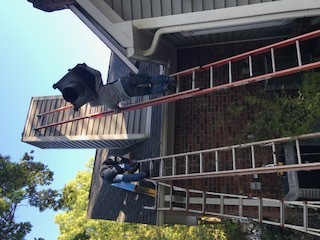 If your home is 25 years or older, or you suspect the need of a new roof, you can stay ahead of major damage by having your roof and chimney area evaluated by an Indianapolis mold removal professional. Our team can help you avoid this costly repair by providing a free inspection of your chimney and evaluate the condition of your entire roof. Don’t wait for an Inspection to find out the extent of the damage, be proactive and avoid this costly mistake that we see so often. Contact us today to schedule a time for us to take a look at your property and assess your needs for mold growth and mold removal in your Indianapolis area home. We service all of Indianapolis, Greenwood, Fishers, Carmel, Noblesville, Avon, Westfield, Zionsville and the nearby surrounding areas for mold removal. Because we are an established Indianapolis general contractor, our team not only removes mold from your home but also handles every aspect of restoring your property. 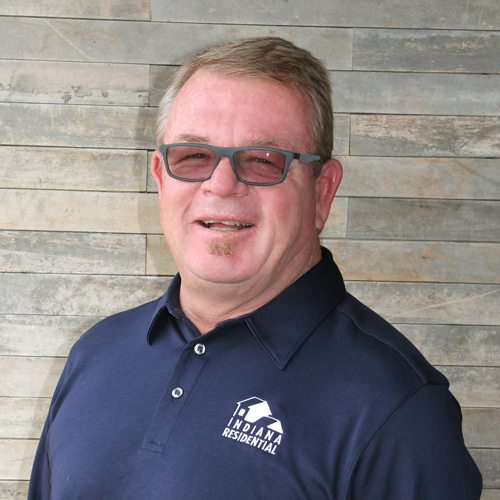 From drywall and flooring replacement to paint and all the finishings, we are qualified and experienced to do it all and you don’t have the hassle of working with multiple contractors to get your home back.